Don't Miss the March 15th Deadline to Apply for a Scholarship! Mark your calendars! The March 15th deadline to apply for an “In Recognition of Service” (IROS) scholarships for the Fall Semester 2014 is just weeks away! In case you haven’t heard, the IROS program is designed to provide tuition assistance to longtime missionaries or their children as they pursue their educational goals and dreams. Scholarships are awarded twice a year to qualifying applicants. What's Up with Values In Education? If you've been following Values in Education's program, you know that the Hansons and their team have been busy over the past 3 years getting their values based libaries into children's homes, schools, library, community centers and homes for the disabled. This past year was no exception. 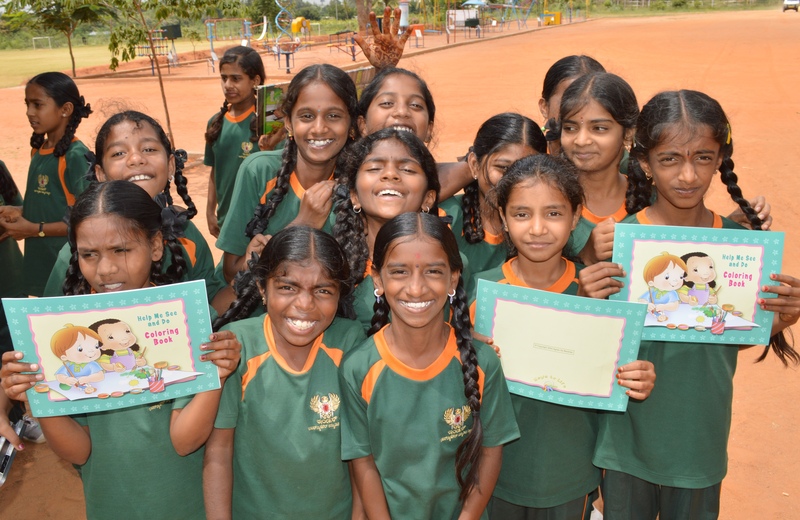 Mark Hanson left for India in October and has been busy visiting the places where children of all ages, genders and walks of life get their education and distributing the 22 values based libaries sponsored by Activated Ministries. It doesn't stop there though. With the Fall Semester wrapping up, we want to give a shout out to the 55 students who qualified for an IROS (In Recognition of Service) Scholarship this past year! You're doing great! We are so proud of each one of you who are working hard to earn degrees in a variety of fields and who are changing your part of the world both now and in the future! Keep up the good work! So what does an End of the Year Christmas Party look like for the staff and kids at the Family Care Uganda school in Gulu? Believe it or not, toys or presents aren't a very big part of most Acholi celebrations, Christmas included. Most celebrations center around good food and dancing... and this party was no exception! Here are some pictures of the food prep and of everyone having a great time eating together, followed by lively Acholi dancing and dancing to popular African music. The kids lose their shyness when it comes to dancing.